If You Feel You Can Not Give Us Completely Satisfied. Please Give Us Chance To Resolve Any Issues You May Have. Could You Do A Big Favor For Us? The subject line will read "Allstate: Dear (Your Name), your opinion is important to us"
Please complete, Do not delete. Our goal is that you are "Completely Satisfied" We are striving to achieve a "Perfect 10" in our results. 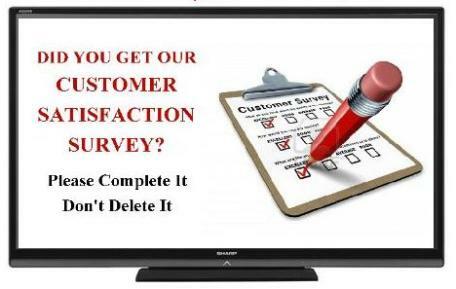 Please note that: This survey relates to your interaction with our Office and Staff - Not Our Corporate Office.